WASHINGTON — NASA’s Kepler spacecraft has paused science observations upon receiving indications that the spacecraft may be finally running out of fuel after more than nine years of operations. In a status update distributed July 6, NASA said mission managers halted a current set of observations known as Campaign 18 and placed the spacecraft into a “no-fuel-use safe mode” July 2 after receiving indications of what the agency called an “anomalous” drop in fuel pressure in the spacecraft. That safe mode, mission officials said, will preserve the 51 days of “flawless” observations collected during Campaign 18. The spacecraft will remain in that safe mode until Aug. 2, when it will resume operations for a previously scheduled downlink of data through the Deep Space Network. Engineers will also evaluate the status of the spacecraft’s propulsion system to determine if observations will continue. For now, the mission is planning a Campaign 19 that is scheduled to begin Aug. 6, after the downlink of the Campaign 18 data is completed. “If the observed drop in fuel pressure is indicative of the spacecraft running out of fuel, then Campaign 19 may not be completed,” mission officials said in their status update. NASA launched Kepler in March 2009 on a mission to search for planets around other stars by detecting minute, periodic dips in brightness of those stars as planets pass in front of, or transit, those stars. In Kepler’s primary mission, lasting until May 2013, the spacecraft looked at a single area of the sky. The failure of two of the spacecraft’s four reaction control wheels, used to accurately point the spacecraft, forced NASA to end that primary mission. Engineers developed an alternative technique to point the spacecraft, using the two remaining wheels, solar pressure and the spacecraft’s thrusters. That approach allowed Kepler to look at different parts of the sky for about 80 days at a time. Kepler has been operating under that extended mission, known as K2, since 2014. Although the spacecraft remains in good health, the limiting factor on its life has been its supply of hydrazine fuel. When Kepler exhausts its remaining fuel, it will no longer be able to accurately point, effectively ending the mission. Accurately measuring the amount of fuel remaining is a challenge, and engineers have relied instead on data like the drop in fuel pressure as a sign that the spacecraft is running out of fuel. 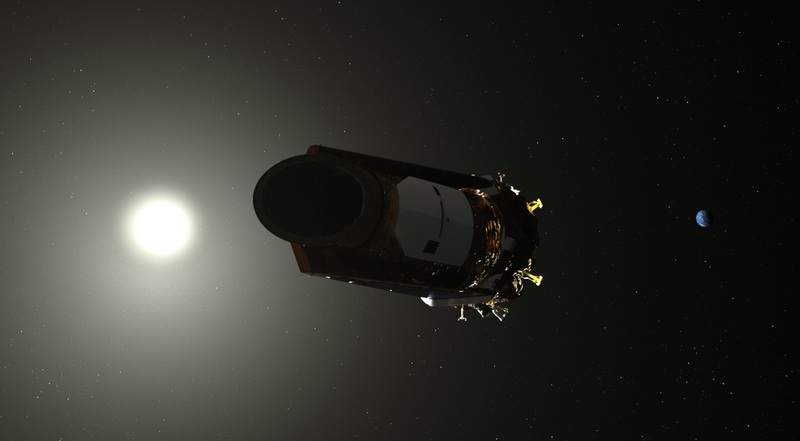 Engineers expected that Kepler would use up its remaining fuel some time this year but weren’t sure exactly when given the uncertainties in measuring the fuel on board. In a statement, NASA said it will provide an update on the status of Kepler after the downlink of Campaign 18 observations in early August. The mission is, for now, planning to start Campaign 19 Aug. 6 while also continuing preparations for Campaign 20, which would begin in mid-October. The mission will continue even after the end of spacecraft operations in order to fund analysis of the data collected to date.